Find out more about this course and sign up here. There are course notes and 1 video for each unit. 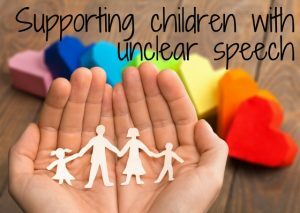 This course is aimed at parents, TAs and school and nursery staff who are supporting children with unclear speech. It is a comprehensive course, broken into 10 modules with over 3 hours of videos, course notes, handouts and activities. 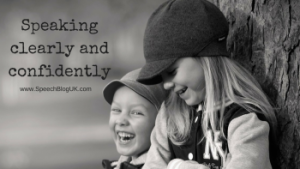 Although it does not replace an assessment by a speech and language therapist it will give you information, advice and ideas to help your child through the process.